Speaking of beer…no tasting? Unfortunately, Brooklyn does not do a traditional tasting at the end of the tour. 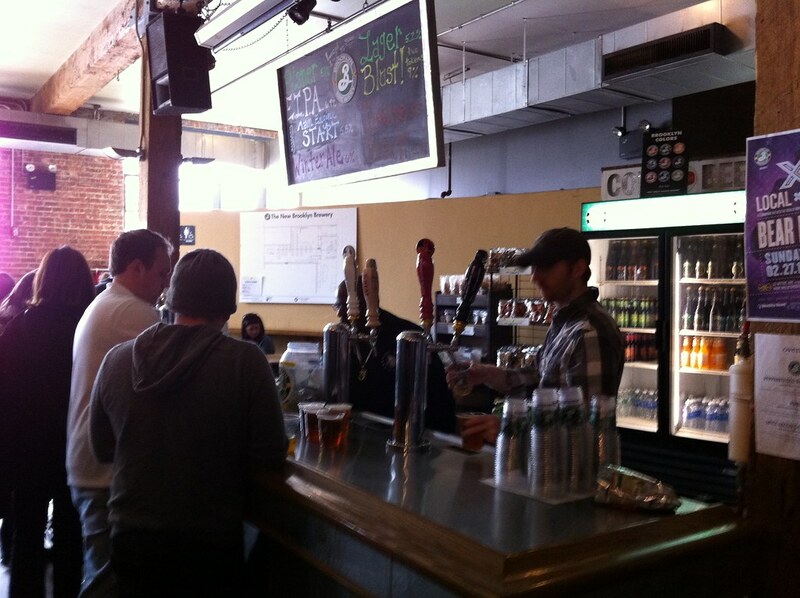 However, there is a small “pub” inside the premises that carries a small selection of Brooklyn beers on tap. You can buy drink tokens (most beers are one token, specialty brews are two tokens) for $4 each, or 6 for $20. They do not serve food, but do allow visitors to bring their own goods or have food delivered (they’ll even supply local menus!). My favorite part of the tour? A little (read: fat) cat named Monster (yes, named after the Monster Ale). Not all tour guides tell the story, but another employee was willing to answer our question as to why there was a cat at the merch/token booth judging us as we walked in. As the story goes, when the brewery was first setting up shop in its current location, the owners befriended a stray neighborhood cat. 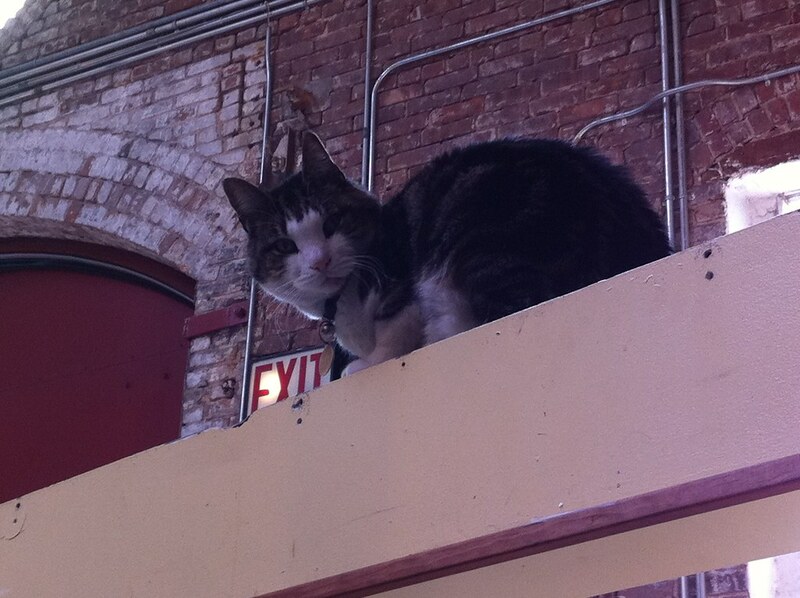 This cat eventually because “the brewery cat,” and has stuck around since. Don’t worry, she’s not hanging out around the bar, nor does it seem he’s interested in anything going on. 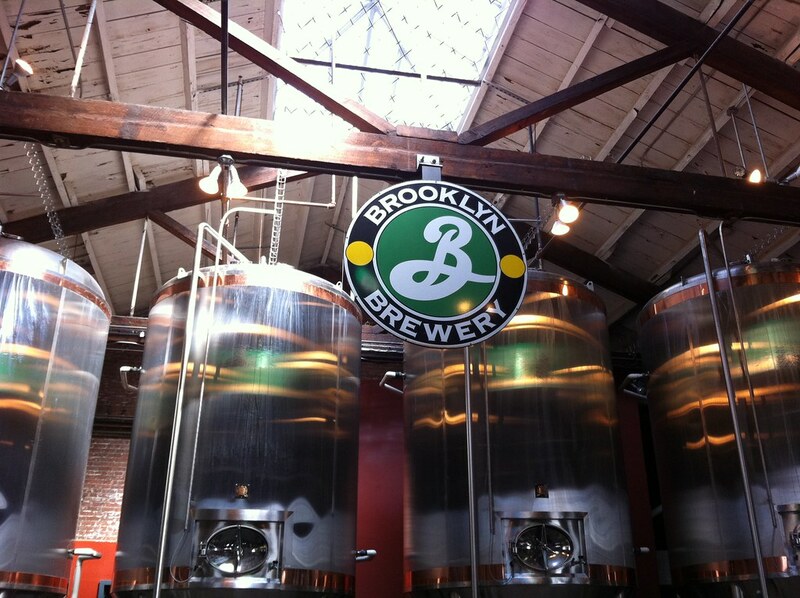 Overall, Brooklyn Brewery is a great brewery to visit if you want a laid back experience that introduces you to what happens in larger scale beer production.